As you may already know, according to the theory behind an alkaline-based diet, consuming too much acidic food will cause an increase in the acidity (and decrease in pH) of your body. In turn, this increases your chances of developing diseases like osteoporosis and cancer. Yikes! But before you start stressing out about your next meal, allow me to shed some light on why this theory may not make that much sense. 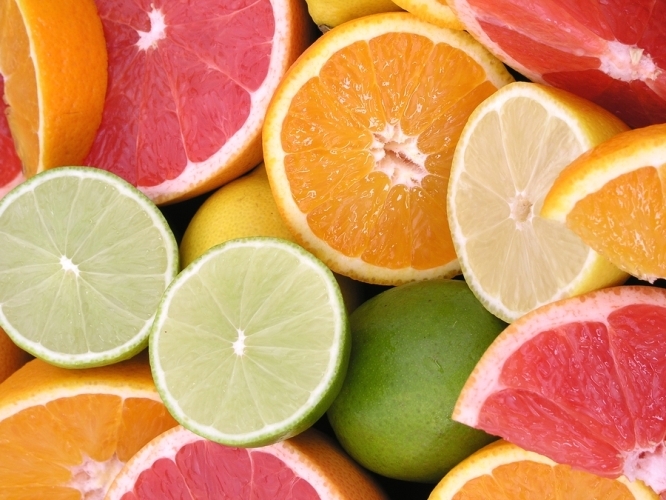 Here's the truth about the alkaline diet. There's truth behind the theory that food leaves behind an acidic or alkaline "residue" once it's metabolized. In general, animal products and grains are acid-forming, while fruits and vegetables are alkaline-forming. Contrary to popular belief, pure fats, sugars and starches are neutral as they don't contain protein, sulfur or minerals. Go ahead, grab a pH stick and test your urine a few of hours after having a green smoothie or chicken sandwich. You'll see the green smoothie creates a more alkaline urine while the sandwich produces an acidic urine. However, unless you suffer from kidney disease or insulin resistance, you can't substantially change the pH of your blood by changing the foods you eat. This is because your body is programmed to work within a blood pH of around 7.4. A slight change of this pH and your body starts to shut down. For this reason, your body is awesome at tightly regulating the pH of your blood. The theory speculates that the body pulls minerals from our bones to neutralise any excess acid produced from your diet and, over time, this can cause bone demineralisation and osteoporosis. However, this theory completely negates the vital role that the kidneys play in pH regulation. You see, the kidneys create a sustainable cycle for maintaining body pH without any role of the bones. Any acid produced from your diet is quickly buffered by bicarbonate ions in the blood. This reaction produces carbon dioxide and salts, which are expelled through the lungs and urine, respectfully. The kidney produces more bicarbonate ions and sends them to the blood to replace the used bicarbonate ions. So unless you stop breathing, peeing or your kidneys fail, you can bet that your blood is chilling at a nice pH of 7.4 and no one is robbing anything from your bones. Pro-alkaline diet folk will argue that cancer can only grow in an acidic environment, and that an alkaline-based diet can prevent cancer cell growth and replication. The truth is that cancer creates its own acidic environment, independent of the body's pH and the diet, through ramping up glycolysis and reducing circulation. Thus, the acidity of your diet won't effect the development of cancer. The subjects suffer from kidney disease or insulin resistance (both conditions that inhibit the ability of the body to buffer acid). Healthy subjects are given ammonium chloride and other supplements (rather than real food) to induced acidosis. Potential correlations and causations between acidic-forming diets, muscle wasting and osteoporosis are speculative or based on observational data rather than proper data. In the end, you'll have a rough time trying to find concrete evidence behind diet-induced pH disregulation in healthy people. So what's the take home here? Rich in fruits and vegetables and low in sugar and grains, the alkaline diet does deserve credit for improving a lot of people's health. But don't be fooled: It's not because of the effect on your body's pH. So chill out and enjoy the heck out of your next meal, pH be damned.